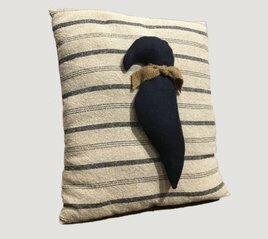 The Feed & Seed Primitive Handmade Pillow is a beautiful accent. Made of quality fabrics and hand-stitched you won't find this pillow in any big box store. This pillow is sure to be an heirloom and fit right in with your farmhouse style. 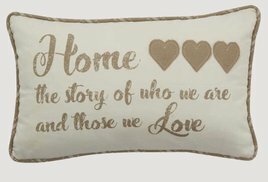 The Home Story Pillow from Park Designs is a perfect touch your country style. 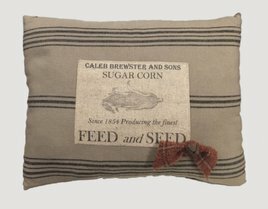 Made of cotton this pillow will be a great accent in your favorite reading chair or on your farmhouse quilt.